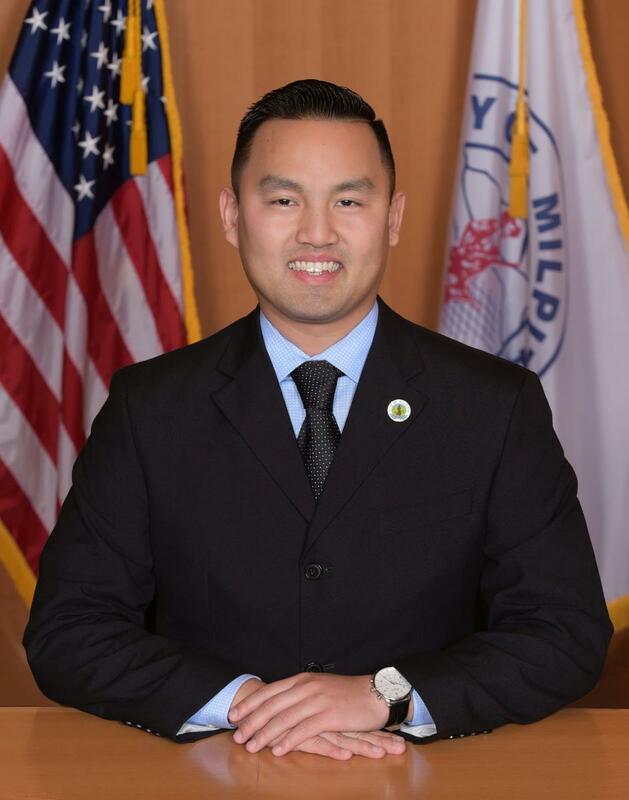 Mayor Rich Tran was appointed by the City of Milpitas to the Board of Directors of the Bay Area Water Supply and Conservation Agency in January 2017. The City is divided into two service areas, with the northeast area supplied with water from the San Francisco Regional Water System and the remaining areas served by the Santa Clara Valley Water District. Currently, Mayor Tran serves on the League of California Cities – Peninsula Division, and as an Alternate on the Cities Association of Santa Clara County Board. His Committee appointments include the Cities Association, Legislative Action and Cities Selection Committees. Mayor Tran is a Medical Social Worker with Santa Clara Valley Medical Center in San Jose, where he provides care for the county’s most vulnerable populations. He continues to serve our country as a United States Airman with the Air National Guard, 129th Rescue Wing, Logistics Readiness Squadron at Moffett Federal Airfield. Mayor Tran graduated from UCLA with a Bachelor’s of Art in Political Science and Sociology, San Jose State University with a Master’s of Social Work, and the New York University Wagner School of Public Service with a Master’s of Public Administration.